It’s not just the presence of hazards alone that makes some workers vulnerable to occupational health and safety (OHS) risks. That’s the basis of a new Institute for Work & Health (IWH) tool developed to measure OHS vulnerability among workers. 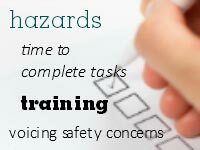 By using this survey of just 27 questions, workplaces can determine whether to mitigate hazards by strengthening worker health and safety awareness, worker empowerment or organizational practices and policies. Patient handling is one of the major causes of work-related injuries experienced by caregivers in institutional health-care settings. However, the installation of mechanical lifts alone isn’t enough. 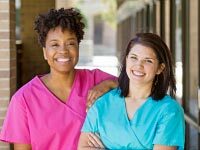 In a program introduced at 15 facilities, individual front-line workers were trained to provide coaching to their peers on the use of patient lifts. The Institute for Work & Health was asked to assess the program’s impact on injury rates, as well as the financial costs and benefits of offering the program. Congratulations to Rebecca Brown, of Stantec Consulting Ltd. in Markham, Ont., winner of our draw for an iPad mini at last month’s Partners in Prevention. Thanks to those of you who came by our booth at the conference. We very much enjoyed meeting and chatting with you about your workplace concerns, and how our tools and products might help. If you didn’t get to attend, you can still “pick up” the conference handouts on our website. 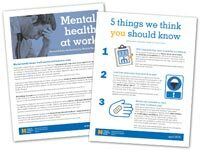 Find the Mental health at work or the 5 things we think you should know PDFs on their respective pages. While you’re there, go to our Products page to check out our other summaries and tools—all free. 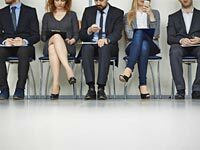 Is employment becoming more precarious? And is precarious work associated with poorer health outcomes? The answer depends on how you identify precarious workers in the data available, says Dr. Wayne Lewchuk of McMaster University’s School of Labour Studies and Department of Economics. In a recent IWH plenary, Lewchuk introduced an index his team has developed to assess precarity. He also shared which employment characteristics included in this Employment Precarity Index are linked with workers’ health and mental health. The findings may surprise you. Groups across Canada are pushing the government for a total ban on all forms of asbestos. 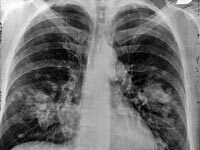 The Occupational Cancer Research Centre (OCRC) has studied the impact of asbestos on the health of Canadians. It has also contributed to the campaign to ban asbestos by providing data to groups including the Canadian Cancer Society, Ban Asbestos Canada, and labour organizations such as the Canadian Labour Congress.